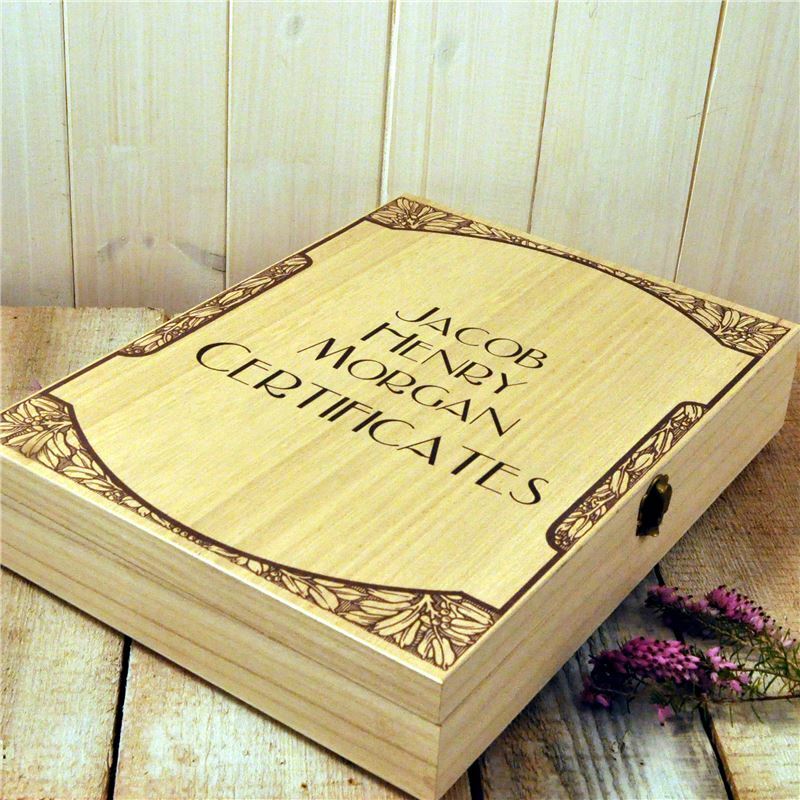 A beautiful box to keep certificates and awards in. Will last a lifetime and make a meaningful gift for a special occasion. At last a place for all those significant moments to be stored safely. From School attendance awards , exam results, to sports achievements and maybe later in life marraige certificates.A unique and memorable gift.